James Corbett B.Eng, is co-founder and Managing Director of Simvirtua Ltd., one of Ireland’s longest established AR/VR development studios & consultancies. 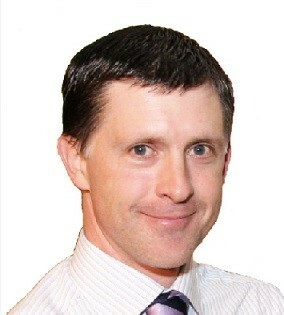 With 23 years experience in IT, James has delivered training workshops and lectures to government agencies and third level institutions including Smurfit Business School, FAS, NUI, DCU, UL, LIT and others. He has presented on AR/VR at numerous conferences including AR/VR Innovate in 2017. Since 2013 Simvirtua has been building Virtual Reality apps and experiences for clients across the spectrum, from marketing (Eir) to healthcare (MindMyths). Other projects included the exploration of VR Health & Safety Training (ESB) and VR retail (Centra shop). Prior to Simvirtua James co-founded a not-for-profit (MissionV Education Ltd.) that was supported by the Department of Education & Skills to develop and run a pilot Virtual Worlds learning programme in 20 primary schools around Ireland. An independent evaluation by the UCD School of Education and Lifelong Learning recommended that it be rolled out nationwide.